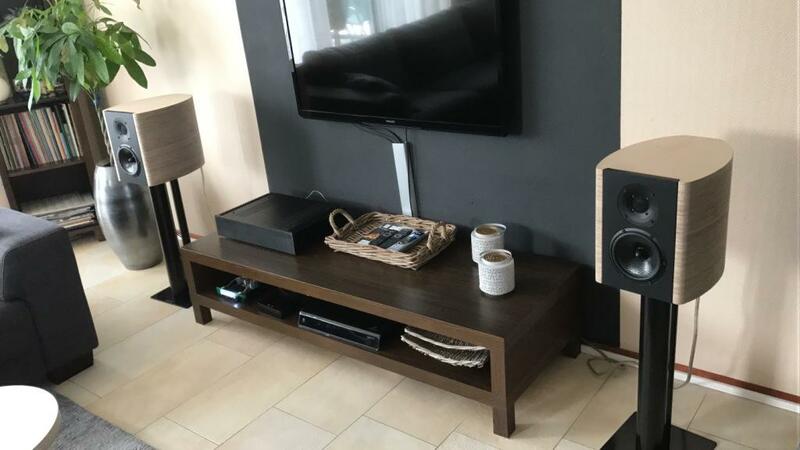 “After a disappointing project building the Seas iDunn kit, I still felt there was much more quality to get out of the DXT tweeter from Seas. I came across the Prestigious Two design and immediately like the simplicity of it, especially in the cross-over section. I ordered the U16. I heard many good things about it and of course, another project on your hands is always fun and exciting. 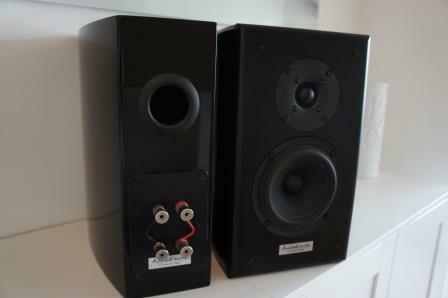 I 1st built a prototype cabinet, to see if the sound of the Prestigious Two was more what I was looking for. The 1st time I turned the music on, I was quite for probably 15 minutes. I just could not get enough listening to my favourite records all over again. This configuration is so well balanced and the cross-over section is simply perfect. You never think you listen to a woofer and a tweeter separately, it sounds like one. The phase behaviour is probably what I like most. Across the entire frequency range, it sounds aligned. The U16 gives very decent bass performance, the highs are very subtle without every sounding harsh. But the mid’s is really where this design shines. Voices sound incredible precise. This design puts a smile on my face every day. After the prototype, I started to work on the final cabinets. I used multiplex frames and laminated them on top, with a separate baffle mounted to the front. This construction is super-strong and the ellipse-shape looks very nice (I understand this is personal). Goran provides several options to shape the tweeter-response, so you can fine-tune as much as you like. I choose to damp the tweeter level just a little bit. I can listen to this sound all day long and never get bored or tired. Also, as there is only one capacitor in the tweeter signal-path, experimenting with different brands is still affordable. I currently have a Janzen Silver Z-Cap and it sounds very nice. And if I want to change it, you don’t have to break the bank. The speakers do need a bit of power to come alive. I have paired up these speakers with a Holton Precision Audio amplifier-kit and this was a major step up from my Hypex UcD amplifiers. I highly recommend building this as well. Kensho Two – M3 Construction Released! “Kensho” is Japanese for “seeing nature.” It means seeing one’s true nature; perceiving the self, but can also in Zen Buddhism mean “a brief experience of enlightenment”. This loudspeaker is a small 2-way using a 5” mid-woofer and a 1″ coated textile dome tweeter in a 11 liter enclosure. This low distorting and moderate priced loudspeaker performs very well and it delivers a generous soundstage with an extended high frequency response and a powerful bass response. Read full article |Comments Off on Kensho Two – M3 Construction Released!